Whoever thought of putting sugar, apples and puff pastry together is a genius. The combo of those three things combined with some butter is too good to pass up. As much as I thought last week’s pick was a big blah, this one is fabulous. I was going to skip this one since I had done a lot of baking during the weekend. When I saw how easy it was, I knew I could not overlook this one. This wonderful pick was chosen by Leslie of Lethally Delicious. She has a great blog with tons of good stuff. Stop by her blog for this recipe and to see her pics. Or, stop by the bookstore this weekend and pick up the book, Baking from My Home to Yours. Dorie has so many amazing recipes in the book that will please anybody. Not only was this delicious, I got to break out the apple peeler. 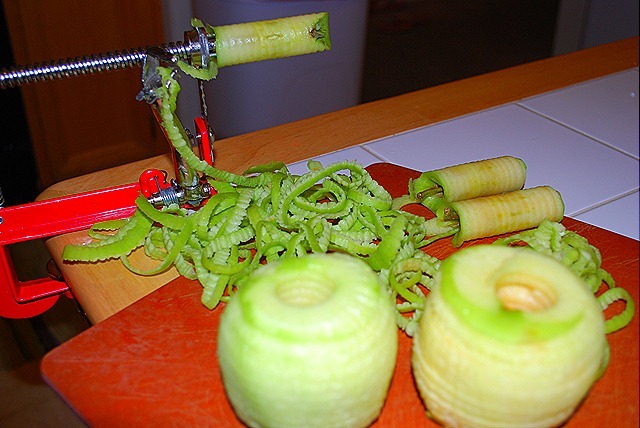 I love any recipe that requires the apple peeler. In about 2 minutes, I had three apples peeled, cored and sliced. I love that thing!! 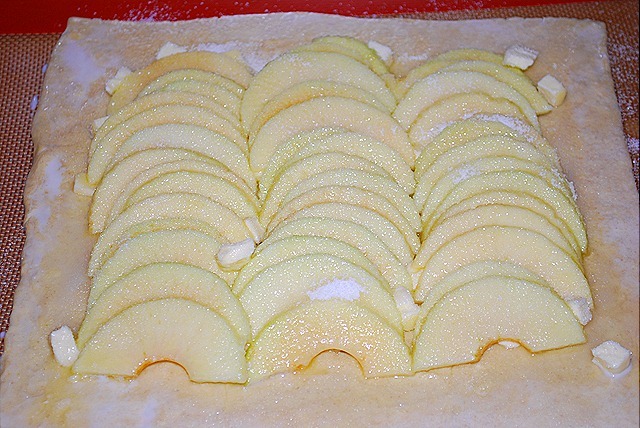 With the apples peeler, I just had to roll the pastry a bit and sprinkle with butter and sugar. Dorie does suggest to use an all butter pastry. Well, I did not have that. I had a leftover dough that had been in the freezer for quite a while. Even with an old pastry, this was an amazing, super easy dessert. I can’t wait to try it again with the the good stuff! 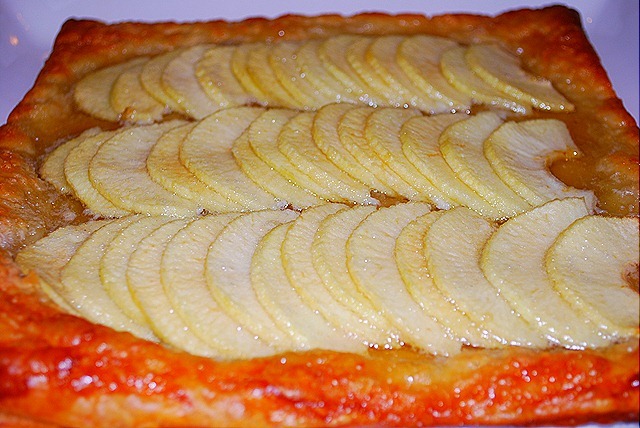 I will totally make this one the next time I need a buttery, appley pastry fix! Enjoy!! 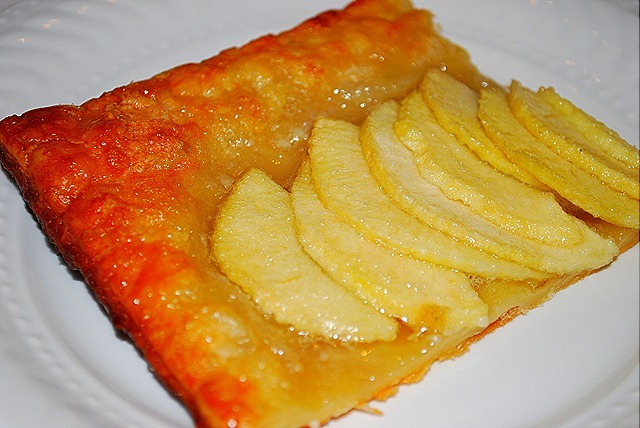 This looks so terrific that I never would have known you used “old” pastry! I’m glad that you liked it and that you got to use your apple peeler (I’m trying to resist buying one, but it’s going to be hard). Thanks for baking with me this week!